IIn a coup for South Africa, Tourism Minister Tokozile Xasa was elected one of two deputy chairpersons of the Regional Commission for Africa (CAF) during the 22nd General Assembly of the United Nations World Tourism Organisation (UNWTO) in China last week. On the sidelines of the UNWTO General Assembly in Chengdu, held from 11 to 16 September 2017, Minister Xasa was appointed deputy chair of the CAF for a two-year term alongside her counterpart from the Gambia, Amat Bah. Kenya’s Najib Balala was elected to chair the regional commission, succeeding Zimbabwe’s Walter Mzembi. The regional tourism commissions enable member states to meet once a year to discuss concerns and formulate proposals to submit to the UNWTO for consideration. “We extend our warm congratulations to Minister Xasa on this significant appointment. 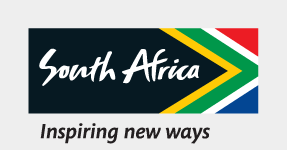 It’s a vote of confidence in the vision and leadership shown by South Africa as a major tourism player on the African continent and, indeed, on the world stage,” said South African Tourism’s Chief Executive Officer, Sisa Ntshona. “Furthermore, to be voted into this important position by her peers on the African continent is an endorsement of Minister Xasa’s zeal in pushing the agenda of the African Union in multilateral engagements, and her passion for championing women and small businesses in the tourism sector. African tourism faces its own distinct opportunities and challenges, and we have every confidence in her ability to articulate these on the global stage,” he said. Minister Xasa is also the convenor of tourism ministers in the Southern African Development Community (SADC), after South Africa took over the revolving chairmanship of the regional body last month. Since 2011, she has spearheaded the National Department of Tourism’s Women in Tourism programme to upskill, empower and advance women in the tourism sector. This initiative was prompted by the slow pace of gender transformation in tourism and travel, locally as well as globally, particularly when it comes to women in key decision-making roles. At this year’s Africa’s Travel Indaba in Durban, Minister Xasa launched the Women in Tourism 30 in 5 (known as “WiT 30in5”) public-private partnership to increase the proportion of South African women in tourism management positions to 30% in the next five years. Significantly, 13 African countries are led by women in the tourism portfolio and on the sidelines of last week’s UNWTO General Assembly, an informal session held by these female tourism ministers took several progressive resolutions to further the Women in Tourism agenda. Key among these decisions was Ethiopia undertaking to host a Women in Tourism conference in Addis Ababa in January 2018, to build, expand and refine the scope of this initiative from a regional point of view. The tourism ministers also undertook to share best practice and learn from one another in promoting women in the sector, tackle continent-wide challenges such as women trafficking, and focus on connecting SMMEs with bigger industry players for mutual benefit.